One of the more spectacular wildflowers. There are varieties out west as well. We always called them "Tiger Lilies." They were always a good one to show botany students, because the pistil and stamens are so large. It is beautiful! I have seen one in the coast range of California. I think it is rare here. I have some photos I will try and find. Don't know its name. Wally, this is what I thought also at first. But what made me question myself was that the flower is inverted (upside down). However, I admit that what confused me at first is that the coloring is almost exactly that of a Tiger Lily which is almost everywhere here on the sides of roads. However, because of the inverted flower I asked for some help and this is the answer I got. It's actually called "Turk's Cap Lily"
When clicking on the picture imagine my delight to see where it was taken. My home county. 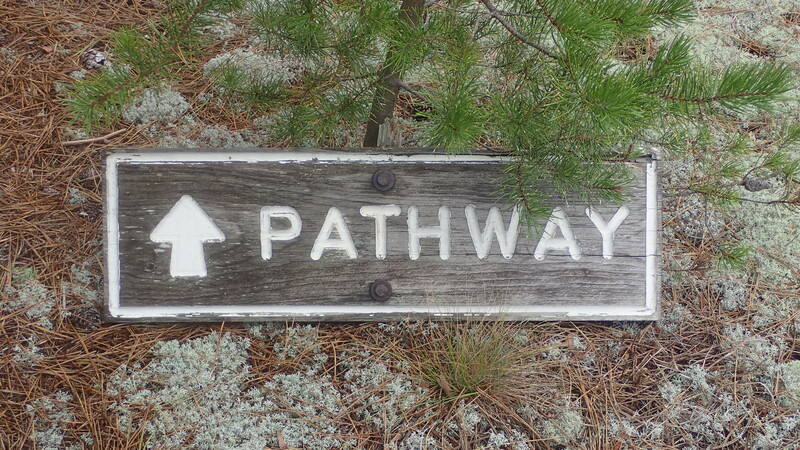 Location Notes: Blue Ridge Parkway. And all this time I thought Transylvania was in Romania!! Yes, Jim, that is it. I did not know it is not only rare in California, but is endemic to California. But, you found it elsewhere? I have seen it twice in the same place. Not sure why it does not bloom every year. It is the only one I have seen. It is close to my property in the mountains. Was tempted to move it onto my property, but knew it was rare, so left it where it was. Thanks for posting the photos and the research. I was told it was quite rare, but did not know its name. Jim, we both were blessed. The only areas where it has been reported is Southern and Central California. I thought because of its name, it would be found in Humbolt Co. But, there are no observations there reported. Ought we report our sightings? Or is the map out of date? On second thought, if we did, California might put my property into a United Nations Trust and kick everyone out of the area. No, we will not report our sighting. Let's keep it a secret, Jim. With such a rare flower maybe you're correct in keeping the secret to yourself. I can't visually tell a difference between your lily and my lily but they have two different common names and two different scientific names so they must be a bit different. In the long I agree we were both blessed. I had never seen such a flower before. While this next flower is even rarer I don't have any qualms about not seeing smelling it. Richard, it used to be before Romania absorbed it. Once there were two Transylvania's, but now only one officially left. But Western NC is a good place to keep it. and blossom there some lonely one to bless. and help me live & smile till my short day is done. my foot prints near, each will mark the place. If you know what this is I'd like to know too! Interesting. Is that a mushroom or a flower? Vicki, I believe it's a mushroom. I did a new trail this weekend as my last backpacking trip for the year. I've nicked named my hike "tour de mushrooms". I've never seen so many different kinds of mushrooms in my life. I might share a few more but i was hoping there might be a mushroom expert among us who could identify it for us. Google to the rescue Recognized them as fungi / mushrooms otherwise didn't have a clue. 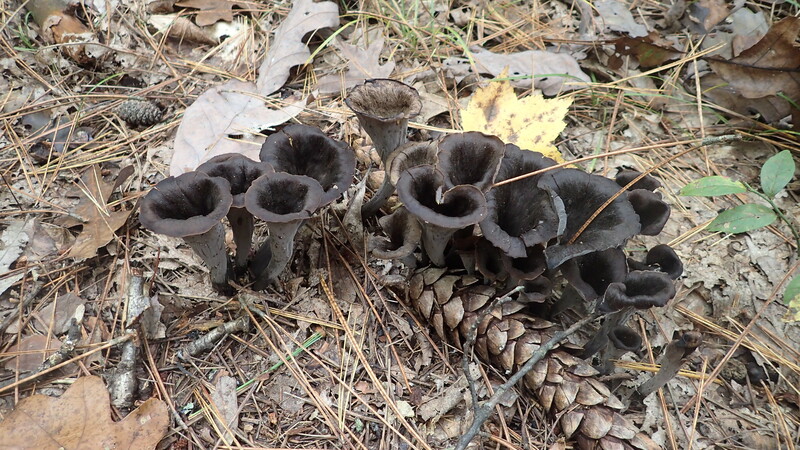 They resemble "black trumpet" mushrooms - if Google image search is working ok. Looked up wild mushrooms and was clued in to lookup "black trumpet" mushrooms. https://www.amazon.com/Pocket-Guide-Wild-Mushrooms-Mushrooming/dp/1620877317 did a look on the inside of the book as well. Well Ed, if you're correct that means they were edible. However, I'll have to watch someone else eat one before I'd try it. If I find any, or better yet if there are any local mushroom hunting clubs or groups, and I will try some and let you know. Hopefully Linda won't need to post the results . Thanks for getting me started - until a few min's ago I had never heard of "black trumpet" mushrooms. Jim, do you tent it or are they one day hikes ? Hey Cp, I most definitely as you say "tent it". 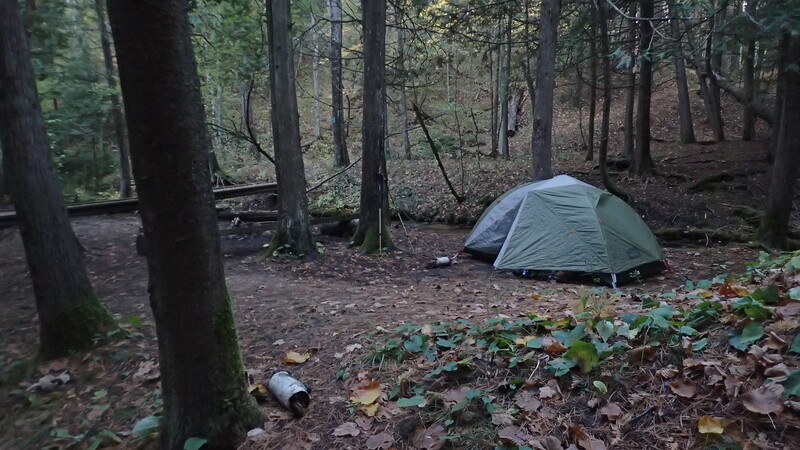 Half the fun is laying in your tent and listening to the creek you're camped beside or any of the other night sounds. If I know it's not gonna rain I'll leave off the rain fly so I can stare out the screen and watch the moon or stars. Outside of a plethora of mushrooms this time I saw large coyote shoot across the trail in front of me like ghost not making a sound and I heard and saw a raven. They don't live where I do so I'm always grateful to see one. As they say it's the simple things. Here is a pic to prove that I tent it. Not that you didn't believe me already. Ok. 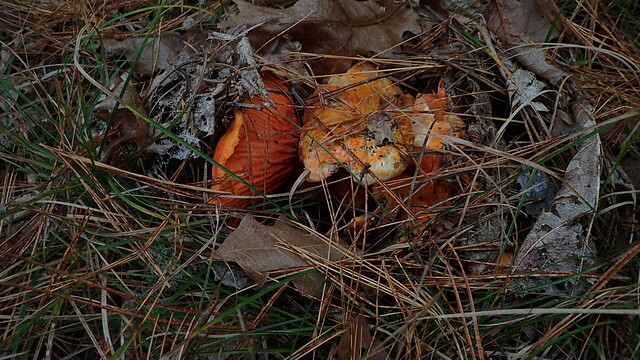 I'm not sure we will be able to identify it since it's so hidden but here is another mushroom.